Are you still searching for that PERFECT gift for your loved one(s)? 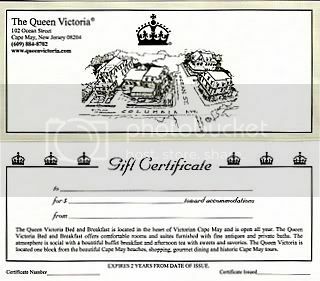 A gift certificate to The Queen Victoria may be just the thing. We’ll put this high quality, nicely packaged certificate in the mail right away, in plenty of time for Christmas. Important Purchasing Tip: If you’re concerned about getting the certificate in time, purchase it on our website at the link below and ask for a high-quality certificate to be mailed to you. That way, even if there is a delay with the mail, you’ll have the e-mail version to give as a gift on Christmas. 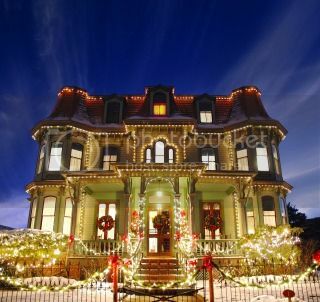 Thanks to all of you who have already made The Queen Victoria a part of your Christmas tradition, either by purchasing gift certificates or with a visit to The Queen Victoria this December.